Call Knightliner, Inc., for all your pavement making. Customer satisfaction and intricate detail is what gets your job done right the first time. Westfair’s blend of knowledge, creativity & practicality paired with the unique technology of Kinetico products connects you to the purest source of water for you, your family and your home. Systems are thoughtfully designed to solve your specific water problems while providing clean, clear, conditioned water - 24/7 - for peace of mind and a difference you will see, taste AND feel! We apply 3M Sun Control, Decorative, Safety & Security, Window Insulating and Fade Control Films on existing glass in fine homes and offices. These products improve comfort while controlling heat, glare, fade damage and making glass more shatter resistant. Window tinting films are available in clear, shaded, or reflective versions engineered to suit your preferences. We offer no cost onsite consultations and estimates. 3M Window Films are backed by a comprehensive lifetime residential warranty which includes a window warranty. Always insist upon optically clear and technically superior window film products from 3M - a brand you know and trust. 3M Window Films - Clearly Superior. 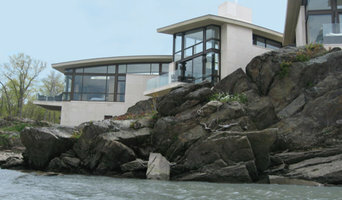 GlassEnergy is the East Coasts premier provider of 3M sun control and heat rejection window products. Let us show you how to save money and protect your belongings at the same time. 3M Security films can add a valuable layer of protection to your home. During storms or in the event of a break-in, windows are the most vulnerable entry points in your home. 3M security film controls ‘glass failure’ prevents “smash & grab” crimes and reduces damage in severe weather. 3M window films reduce heat and annoying glare. Protect your family from harmful UV exposure and stop furnishings from fading. Eliminates harmful UV rays by 99.9%. 3M window film products are endorsed by the Skin Cancer Foundation. AJM is a full service Masonry company providing customers with unmatched quality installations as well as thoughtful design ideas. AJM takes pride in every aspect of the construction process. With our highly skilled masons, you can rest easy knowing all of your needs will be exceeded. Buck's Transport Systems, LLC. is a professional furniture receiver geared towards the Interior Design Trade and high end furniture showrooms. We specialize in receiving, inspecting, storing, and delivering (100% white glove). Celebrating our 26th year in business, we pride ourselves off of integrity and professionalism. 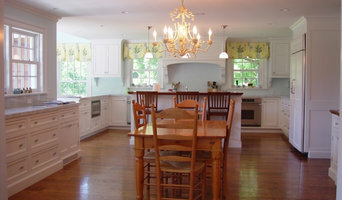 New Canaan, CT Saddle River, NJ Hobbs Care, a division of Hobbs, Inc., delivers the full range of maintenance and home improvements fine homes require. This team of master craftsmen and technical experts understands that a well-managed project is as comforting as one completed on time. Servicing Fairfield and Westchester Counties, the Hamptons, and now New Jersey. 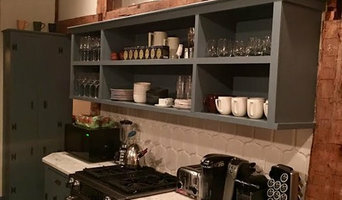 Whether you’re looking for a team of Gaylordsville, CT professionals or a handyman for a small renovation, you’ll find dozens of professional profiles and contact information for specialty contractors here on Houzz. Here are some related professionals and vendors to complement the work of specialty contractors: General Contractors, Landscape Contractors, Architects & Building Designers, Interior Designers & Decorators, Kitchen & Bath Designers. Let’s say you want to install custom wood flooring in your dining room, and you’ve found a Gaylordsville, CT company with excellent reviews. Next you’ll want to contact the company and make some inquiries. Find specialty contractors on Houzz. Look in the Professionals section of our website under Gaylordsville, CT specialty contractors, then select the nearest metro area for a contractor. 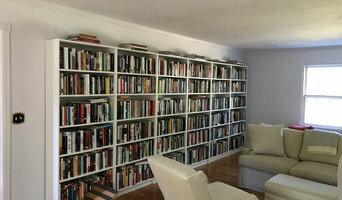 You can also look through Connecticut photos of completed projects to see how a contractor might approach design challenges.